Join the Future of Healthcare. Find Your MS in Health Informatics Now. Explore Your Options in Health Informatics. Learn About the MSHI. Health Informatics Degree At Top-Ranked Adelphi University. Technology implementation alone is not enough to improve the health care provided to patients, according to the National Library of Medicine. In fact, having too much data is sometimes worse than not having enough when making strategic health care decisions. Health informatics methods allow health and management professionals to make sense of large amounts of data, and informaticists’ roles and importance will likely expand rapidly as the health care industry continues to evolve. Your Master of Science in Health Informatics can help prepare you to fill the experience gap. Health informatics uses advancements in health information technology, including the management of data, to drive innovation, improve access to information, and increase knowledge management in subjects like biomedical research, clinical care, and public health to improve patient outcomes. Students looking to earn a master’s degree in health informatics may want to advance in their knowledge and to be more competitive within the job market. A majority of students come from the clinical side looking to move out of direct patient care. People with IT backgrounds outside of the health care industry are increasingly coming to health informatics programs because they see a great opportunity within the growing health care industry. Health informatics master’s programs provide opportunities for students to develop their leadership and project management skills and move up within the profession. What are the differences between the different levels in this field? Completion of a bachelor’s degree can lead to a basic professional credential and may meet the eligibility requirements for a coding certification. However, to qualify for the higher-level positions, you might need to earn a master’s-level credential. What are the different areas of practice? Informatics is inherently interdisciplinary. It borders and overlaps with a number of other fields such as nursing, organizational theory, information science, law, management, and cognitive science. 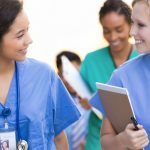 Nursing informatics is highly clinical and is a natural progression for those that have already completed nursing studies. Public health informatics looks at biosurveillance and tends to draw people with an interest in how we keep the population healthy. Applied informatics covers process, policy, and technological solutions to how medical information is stored, used, and retrieved. Students can develop a wide range of skills, and, on completion of their studies, should be able to use appropriate language, examine and make recommendations on policies and ways of using information, support strategic business planning with data and statistics, and construct quality information systems that are suited for their users and their purpose. Study in the field of health informatics is suited to students who want a career that offers diverse opportunities and would like to work in health care but do not want to work directly with patients. 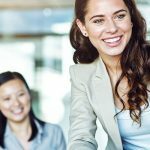 Academic institutions, government agencies, pharmaceutical companies, and consulting agencies consistently hire information management professionals. And as the use of health information technology surges, so will the demand for qualified entrants to the electronic health record (EHR) workforce. The Master of Science in Health Informatics degree is intended for people who would like a health care career that can make a difference without patient contact. Before entering the MHI program, students likely will have previously studied at the undergraduate level, often in nursing or STEM-related subjects. They also may have significant workplace experience. When you enroll in an MHI program, you may find yourself working in health care environments, providing solutions to information management problems, or advising on how to implement high-quality systems. Paths into research are also possible. Some students take on further certification in health information management to hone their skills and improve their value to employers. Jobs in the health informatics sector for qualified individuals include project manager, informatics nurse, and business or clinical analyst. 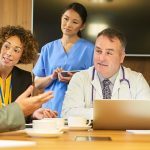 Professionals holding an MHI can progress through the ranks to take on roles such as director of clinical information, or chief technology officer. How do I choose a master’s in health informatics program? Your MHI program can support you in expanding on your previous knowledge and experience, or it can give you a broader understanding of all areas of health informatics. Many programs also give students the opportunity to develop specializations or focus their studies with electives and capstone courses. When choosing your program, you might want to consider factors such as the makeup of the faculty and the reputation of the school within the industry. Accreditation is also worth considering, particularly if you would like to take further certification later in your career. Another strong metric to check is the student outcomes section. Many programs will publish outcomes on career placements or reported salaries of alumni. This information can tell you what type of success previous students have found. Health informatics programs are available in either on-campus or online formats. This flexibility allows students to build a schedule that suits their pace of study and personal circumstances. Hybrid formats are also available that offer a combination of online and on-campus courses. Programs delivered full-time will usually be completed over about a two-year period, and part-time students will generally take longer, depending on the speed at which they complete the materials. The number of credit hours required to graduate varies between colleges but is generally in the range of 40-60 credits. The costs per hour vary widely at between about $350 (at a reduced rate for in-state tuition) and more than $1,200. Online health informatics programs may be delivered either asynchronously or synchronously. Asynchronous learning means that you can work and study on your own time. Synchronous learning, on the other hand, refers to attending classes during set hours at the same time as your classmates. Some programs will place you in a group (or cohort), in which you will remain with for the duration of the program. In other programs, you might have different classmates for every course. There is great value in experiential learning, or on-the-job experience, for health informatics students. It allows active awareness and involvement on the part of the learner and promotes understanding of core issues, bringing meaning by linking theory and practice. Typically, individuals who are most likely to be interested in the Master of Science in Health Informatics are currently employed in medical or clinical fields or are working with information systems. However, more students with IT backgrounds are now entering the sector. How do the career opportunities vary? All learning is usually presented from the viewpoint of quality health care, and so learning focuses specifically on social and organizational issues as they might present themselves in a hospital; health data management; or the legal, regulatory, and ethical issues regarding patient record data. What should I look for when it comes to choosing a degree program? From a practical view point, students should consider the reputation of the school and, if possible, talk to current students. Graduation rates, retention rates, and employment outcomes also are worth checking. Combining these areas of knowledge means that graduates should understand the critical synergy within the discipline of health informatics. CAHIIM expects that graduates of an accredited program must have formal exposure to these ideas and show an understanding of how they are interconnected. Within these areas, students may choose to emphasize one or more facets consistent with their mission, goals, and objectives. Are there any variations to a program like this? Although health informatics has a natural focus on health care, programs are available with opportunities to specialize in biology, business, computer information technology, computer science, health science, and human-computer interactions. Students joining an MHI program often have a background in either information technology or nursing, but this isn’t always a requirement. Due to the diverse nature of jobs in health informatics, many programs offer electives that allow students to develop their particular interests. These will usually account for between three and 12 credit hours and will supplement the courses you are required to take. When you enroll in an MHI program, you may have the opportunity to focus your studies further with a concentration or specialization. These will often follow the career tracks for graduates and may include paths suited for programmers, information security specialists, or health analysts. These programs focus on individual specialist areas within health informatics, such as epidemiology and public health surveillance systems. The MHI provides a broader base of knowledge in the subject and develops skill sets that can be applied to all of these areas. Online degree programs are usually delivered by the same faculty as the on-campus programs and offer the same choice of classes and experiences. Internships, capstones, and research projects carry the same expectation whether or not the student physically attends.Health informatics programs also are available in hybrid formats. This means students can partake in a flexible program that has a combination of online and on-campus elements. Hybrid programs are only suitable for students that have easy access to the college’s campus, but they do provide a degree of freedom and flexibility. The MHI usually requires a final project to complete the program. This may be academic research, an internship, a thesis, or a work-based capstone project. The goal is to bridge the gap between academia and the workplace. These usually last one semester, though some programs allow for two. Students choosing an entirely online MHI will not necessarily need an on-campus residency. Most course content and examinations can be directed and delivered remotely, although this requirement might vary by program or school. Most MHI programs allow students to develop a particular area of academic or professional interest via electives or specializations. These will sometimes be quite broad, such as clinical informatics or health administration, or they may concentrate on competencies required for specific job roles, such as health care analyst.Program structure usually allows for students to develop a basic knowledge of all areas through their core courses and then develop their specializations through elective and capstone courses. This allows students to prepare for the world of work and develop a specialized portfolio to provide to potential employers on graduation. Elective courses are those chosen by the student rather than those that are mandatory. These can cover a wide range of areas of interest, such as mobile health applications, bioinformatics, information security, leadership development, or independent study. Students select courses according to their interests and career goals. What are the most popular concentrations/specializations for MHI students? Experiential learning allows students to explore their academic and professional interests through first-hand experience. This allows for skills, knowledge, and experience to be acquired outside of traditional study settings and may include internships, independent field research, or other opportunities to put theory into practice.Health informatics is a highly practical area of study, and many colleges offer students opportunities to take on internships with partner organizations to expand and develop their skills, often as part of the program’s capstone project.Students that are interested in taking on further study, or that cannot complete work-based learning due to existing commitments, may sometimes instead choose a research or practical project. This allows students to apply their knowledge in practice and boost their employability. Most programs, even those delivered online, will have an element of experiential learning as an optional element of the curriculum or as a requirement for graduation. Internships or work-study jobs take place with a local employer and typically last at least one semester (around 13 weeks). Some programs may allow you to use your current or previous work experience in place of an internship requirement. Speak with an academic advisor from your program for clarification on this topic. Master of Science in Health Informatics programs will typically require between 10 and 12 courses, comprising about 30-36 semester credit hours. Your program’s composition will vary, but likely components of the curriculum include required or core courses, elective courses, and a capstone or experiential learning option. Do any programs offer self-paced options? Most MHI online programs have multiple enrollment points throughout the year, allowing students flexibility in when they take specific courses. Accelerated or relaxed study is also possible, allowing students to complete in as little as a year or sometimes as many as seven years. Not all colleges offer this level of flexibility, and you may be required to fulfill your requirements sequentially or in a shorter time frame. Programs delivered by this method usually allow students to remain part of a single cohort that moves through the program together. The following master’s degrees touch on the same topics and learning outcomes as the MHI, but they offer a different focus or specialization. As you do your research, consider learning more about these degrees to see whether they might be a better fit for your goals and interests. These programs focus on individual specialist areas within health informatics such as epidemiology and public health surveillance systems. The MHI provides a broader base of knowledge and develops skill sets that can be applied to all of these areas. Those with CAHIIM credentials can also access scholarships and other financial support. This validation of their study can be particularly useful for individuals who wish to seek professional accreditation from the American Health Information Management Association (AHIMA) after graduation. Certification shows that a professional has the knowledge and skills necessary to do his or her job at an optimal level. Thanks to this system, employers, peers, and the public can be sure the certified individual is well-versed and competent in the delivery of their duties. Certification is not expressly required to work in the field of health informatics, but many hiring managers may look for these qualifications. AHIMA notes that certification can help improve earning potential, increase job mobility, and provide a foundation of broad and deep understanding. There are also opportunities to connect with peer networks. Do I have to graduate from an accredited program to obtain licensure or certification? Professionals seeking certification from the American Health Information Management Association (AHIMA) will need to have successfully completed the academic requirements of a CAHIIM-accredited health informatics program. Alternately, they must have graduated from a program approved by a foreign association with which AHIMA has a reciprocity agreement. What are the steps required to achieve certification? The groundbreaking researcher and “father of medical informatics” Homer R. Warner took the discipline into mainstream academia by founding the Department of Medical Informatics in Utah in 1968. He then set to work on a database that correlated information about drugs, symptoms, and diseases into a code which could be processed by a machine. These allowed for the automation of many aspects of health checks and laid the foundation for larger medical databases. This has been one of the most visible contributions made by health informatics researchers, leading to commercial applications of their technologies, most often in electronic patient records systems. These allow multiple health care providers to share information on a patient and can support continuity of care and quality diagnostics. AHIMA offers merit scholarships through its foundation of up to $2,000,  and other nonprofit funding streams are available. The National Library of Medicine also offers fellowship programs for health informatics students. Federal loan forgiveness programs may be available for professionals that enter public service or become educators. What is a master’s in health informatics? The health informatics degree combines health care, business, and IT courses, preparing you for a career in a revolutionary field. In this field, you explore how to use electronic data to improve the systems used in health care services. Health informatics contributes to reducing health care costs, increases access to patient care, and improves the diagnosis, treatment, and outcome of diseases. Why should I earn an MHI degree? What is the primary focus of the master’s-level HI degree? A master’s-level health informatics degree focuses on a multidisciplinary and well-balanced curriculum of health information technology (HIT), information science, analytics, and IT/IS training. Graduates of a health informatics program should be able to design, develop, and optimize IT-based health care systems to properly secure, manage, and deliver patient information and data. What kind of educational/professional background do you need to qualify for an MSHI degree? In some cases, master’s-level health informatics degrees require industry experience and knowledge in one or more of the key areas critical to success in the health informatics field. It is important to check with the school you are interested in attending, as not all Master of Health Informatics programs require experience. Do I need to have a background in computing? Students who enroll in a Master of Science in Health Informatics program often come from either clinical or information technology backgrounds. However, the curriculum content provides substantive knowledge in both areas, so a lack of prior knowledge is not necessarily a barrier to entry. How can an HI degree add value to my career? The MSHI degree can provide the gateway to many leadership roles in the health care industry. What are the key attributes to look for in an MSHI degree? A key attribute of a well-fitting graduate program is to identify the foundational components that are essential for you as an individual to meet your needs and career goals. For example, if you are looking for a career change, there are health informatics programs that do not require an extensive background in health care to qualify. Another critical component that you should look for is for an interdisciplinary curriculum that will prepare you to be a well-rounded professional in the field. Students in an online health informatics master’s degree program often take core classes that are focused on health care topics, business, and IT courses such as database modeling and design. Students can also benefit from topics covered in certifications such as the Project Management Professional (PMP) certification, and the Certified Professional in Healthcare Information and Management Systems (CPHIMS) certification. What does a CAHIIM-accredited HI program focus on? Are there any programs that have unique core courses? If so, how would those core courses benefit with career advancement or certification? Every health informatics program can have different core courses, so it is important to determine if you want to move into a specific sector of the informatics field and make sure the program you are interested in aligns with your overall career goals. Are there any prerequisite courses I will need? Usually, master’s-level programs do not have prerequisite courses that need to be completed before entering the program. It is always important to check with the specific program to be sure. Is an online MSHI the same as a campus-based program at most universities? Most public and private not-for-profit universities include the same curriculum and faculty in their online courses. Programs with concentrations require students to take special classes. For example, students with security focuses will have more IT security-based classes. While the core, foundational courses and prerequisites will remain the same, concentrations will tweak your curriculum to fit your focus. Look for an MHI online curriculum that suits your needs. Pick one that has a specialization that aligns with your career goals. Find a curriculum that also fits your schedule or helps you get closer to certification or career advancement. There are many online MHI programs available, so identify the one that works for you. What is the program length to complete an MHI? A Master of Health Informatics degree with no extra concentrations or certifications takes about 2 years to complete. Can I complete an MSHI degree online? Yes. Many institutions offer Master of Health Informatics degrees online. What are the types of careers in health informatics? Professionals with an online master’s in health informatics can seek positions such as health informatics specialists, health care IT project manager, chief medical information officer, medical informatics systems analyst, clinical informatics manager, etc. The average salary for these careers range from $60,000 to $151,331. You do not need certification to pursue a career in health informatics. What certifications are there for health informatics? There are a handful of certificates for individuals who have different career goals. Some examples of certificates in this field include certificates in: biomedical informatics, applied biomedical informatics, public health informatics, health information security, and more. Why would one consider completing a health informatics certificate program? A certificate in health informatics is designed to complement your master’s or professional degree. Professional certifications are an effective way for candidates of various backgrounds and positions to illustrate skills and knowledge to future employers. What’s the difference between a general health informatics degree and one with concentrations? General HI programs provide students a comprehensive learning experience. You would touch on all of the concentrations in smaller doses, rounding off your education. On the other hand, picking a concentration will help give you an advantage in that specific career path, but you likely won’t have as much knowledge into other specific areas of health informatics. An alternative degree is designed to further hone your skills toward a very specific career. Think pairing public health with a career as a hospital social worker, or law with a career as a social justice lobbyist. You need to know which career you want and be sure of that choice. What is the difference between health informatics and health IT? Health informatics focuses on health data, information, and knowledge, including its collection, processing, and analysis. Health IT is the technical discipline that focuses on information technology and how that technology is used in health care. The focus in health informatics is based on data and its use in decision-making, while the focus in health IT includes a wide spectrum of topics, from computer networks to algorithms. What is the difference between health informatics and health information management? Although some areas overlap, the HIM and HI fields are different. Health information management deals with patient records, while health informatics deals with applied IT. Health informatics basically builds the systems that health information managers use for the electronic health records gathered. What is the difference between a Master of Health Informatics and MS in Nursing Informatics? The MSHI degree positions you to be business facing, focusing on complying with regulations and improving hospital finances. Nursing informatics positions you to be patient-facing, with a focus on improving patient safety and the quality of care. MSHI combines computer science, information technology, and health care administration, while nursing informatics combines computer science, information technology, and nursing. What is the difference between a Master of Health Informatics and Master of Public Health in Public Health Informatics? What is the difference between a Master of Health Informatics and Master of Biomedical Informatics? Bioinformatics is about using computational methods in biology, as well as medicine. Bioinformatics focuses on processing genomic and proteomics data for basic research in biology. What are the reasons that some MSHI programs require the GRE/GMAT? Why do some MSHI programs require a personal statement, and why is it important? University admissions committees put a hefty weight on statements of purpose, their structure, and their presentation. With an MSHI program, you will probably not have any personal interviews for the program, so a statement is the only chance you have at telling the admissions officers your purpose in pursuing this degree. This is important because they want to know if you can think for yourself and why you are taking such a life-changing step. A personal statement can mean the difference between getting into an MSHI program or not. Industry experience and knowledge in one or more of the key areas is critical to success in the health informatics field, but not always required. Do I need to have a health or IT background? No. In fact, most students do not have formal health care or IT training. Why do some MSHI programs require work experience? While some MSHI programs do not require work experience, some do to determine the readiness of the potential student to complete a graduate-level program. Can I be accepted without work experience? This is completely dependent of the program you are interested in. Some MSHI programs do not require work experience, while some do. Are there online MSHI programs for students with little to no work experience? There are MHI programs that do not require work experience. Be sure to check with the universities you are interested in and compare multiple programs in addition to their admissions requirements. What types of professional references are required? Professional references come from people who are, or have been, in a position to evaluate your work in an academic or professional setting. Letters of recommendation should come from supervisors, current or former employers, professors or mentors. Professional or academic contacts should have known you for at least one year. Personal recommendations will not be accepted. In most cases, you do not need a specific undergraduate degree to qualify for the MSHI program. It is when you begin looking at industry-specific informatics degrees that you have to have specific bachelor’s degrees (for example, nursing informatics requires you to have your BSN). Is there additional prerequisite work I need to complete before getting started? If so, what is it, and what grades are required? Usually, MSHI programs do not require you to have prerequisite work before getting started. An undergraduate degree is required, and depending on the specific institution, usually must have a GPA of 2.75 or above. Be sure to check with your program of interest what the admissions requirements are. Can the online Master of Health Informatics help prepare me to earn my Project Management Professional (PMP) credential? What makes health informatics such a promising career field? What are possible job titles and salary for HI graduates? What types of organizations do graduates with an MSHI work for? A large majority of graduates work in the health care industry, but in a variety of positions ranging from IT to C-suite level leadership positions to consulting. Are there other organizations outside of a clinical setting looking for HI graduates? What does the health informatics industry growth look like for the future? Is there a high demand of health informaticists in the industry? CAHIIM is the acronym for the Commission on Accreditation for Health Informatics and Information Management Education, an independent organization for the health information management and health informatics fields. What is the most important accreditation(s) for an MSHI program? Any others to consider outside of regional and CAHIIM accreditations? Accreditation helps to ensure academic quality, and can apply to the university as a whole or the specific program. A degree from an accredited institution allows students to receive federal financial aid, transfer credits to other accredited schools, and is more prestigious in the job market. Program accreditation is in addition to an institution’s overall accreditation. Accreditation offers both students and potential employers some assurance that a degree program provides its graduates with the necessary training. Do CAHIIM-accredited MSHI programs cost more than those that aren’t accredited? No. Program cost is not determined by whether or not it is CAHIIM-accredited.